Samsung Internet still continues to grow its fan-base, which is mainly caused by frequent updates. Back in March, when the app was updated to 7.2 beta, the browser gained Protected Browsing functionality. It warned users of malicious websites. 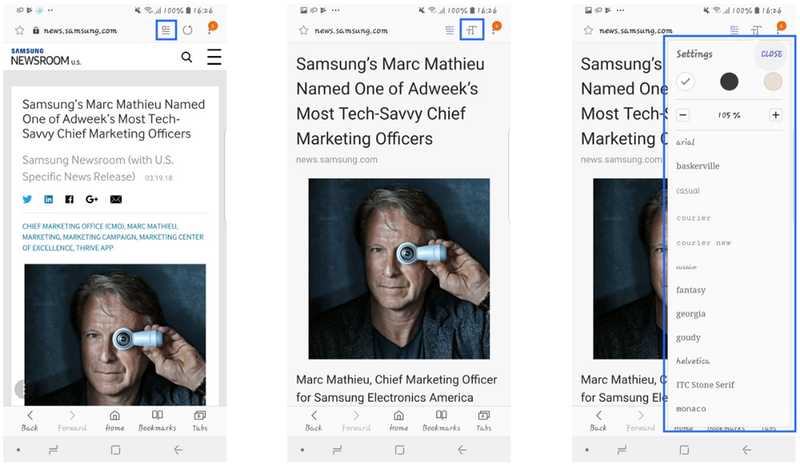 Version 7.4 is rolling out now and it includes Intelligent Scan authentication, customizable Reader Mode, Download History improvements, and more. Let’s dive in. Samsung Internet is known for having biometric authentication that can be used for logging into websites, using Web Payments, or entering Safe Mode by using fingerprints or iris scan. 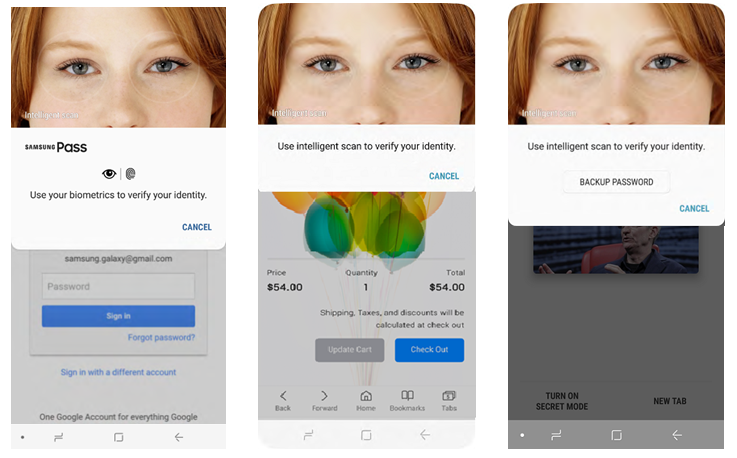 Version 7.4 brings Intelligent Scan, which “combines iris scan and face recognition to allow convenient unlocking and in some cases provides enhanced security for certain authentication services.” As expected, it only works on supported devices, which is currently the Galaxy S9 or S9+. Reader Mode’s background color, font and font size are now fully customizable. You can access the options from the text menu. The latest version also comes with improvements in the Download History category. 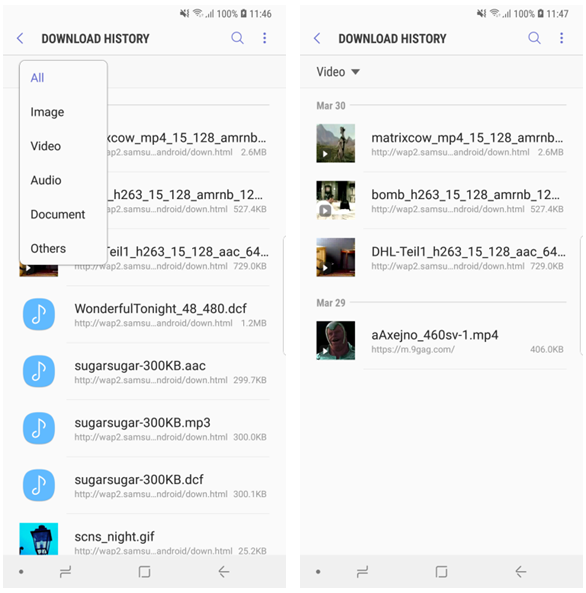 Now you can filter, share, and download files straight from the menu. 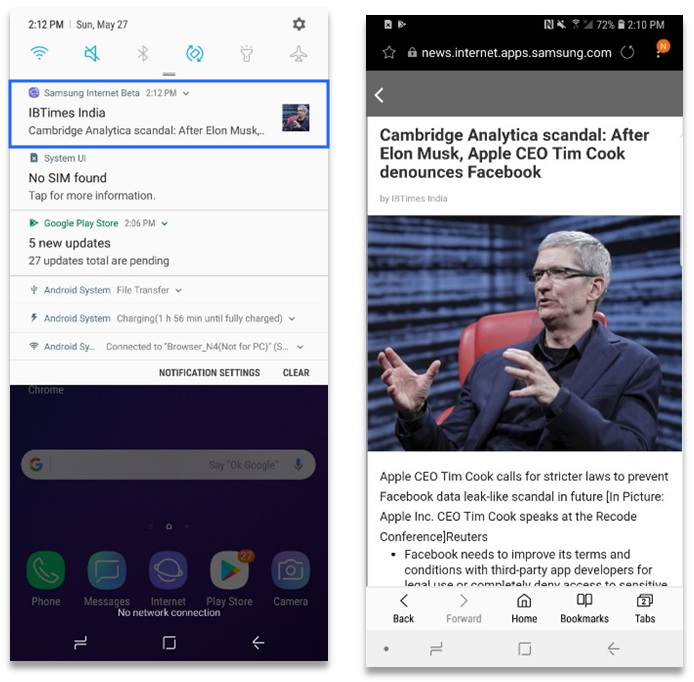 Recently, Samsung started releasing features for specific regions, mainly for testing a certain feature before making it available worldwide. This time, Samsung brings new features for India, US, and China. From now on, estimated time will be shown both in the notifications shade and the Download History page. Users will also have an ability to change default download location in the settings. A new optional feature will bring breaking news straight to your notifications panel. And finally, China gets a new “Trending now” section, powered by Baidu. 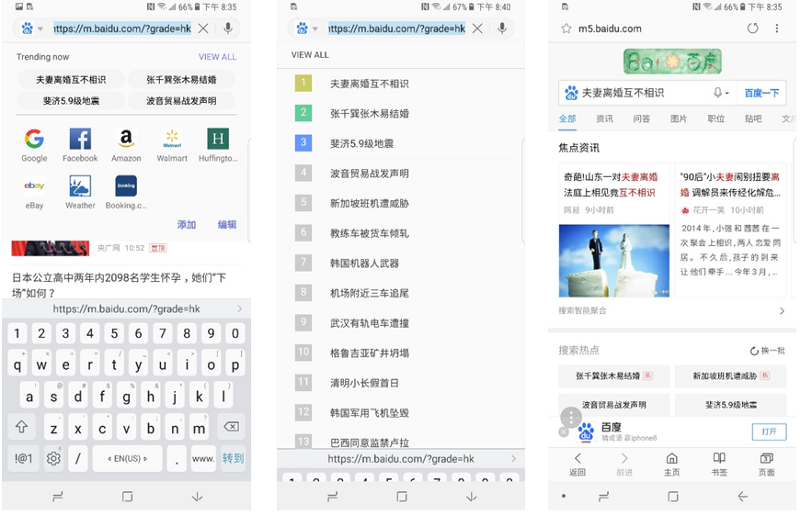 Any link takes you to the relevant Baidu page. 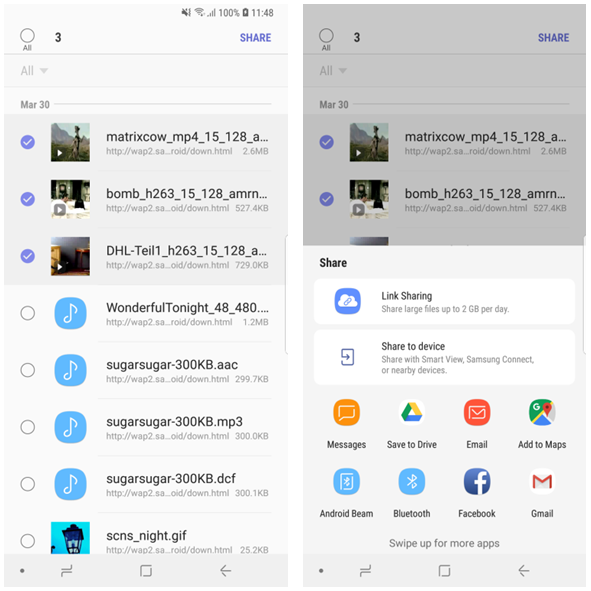 Download Samsung Internet Beta below to try out these new features.